Our adventure with auto trading began in the 1970s. In this period of time our love for motoring blossomed. In 1989, as a students, along with colleagues, we dealt with cars in a hobby to register a company in 1998. Since 2003 our company existed under the name JCP-AUTO, but in 2007 we changed to CP-AUTO. From the beginning, the company's headquarters is New Ulm (Germany). Currently, you can find us in a few places: Max-Eyth. Str. 39G - where are the garage rooms, at Borsigstr. 29 ½ - there is a square with cars for export, and also at Lilienthalstr. 2 - square with cars for the internal market (Foddis company). Thanks to extensive contacts, we provide services in such countries as Poland, the Czech Republic, Italy, France, Austria, Switzerland and others. The cars bought and sold by us come mainly from the local market. After the purchase of cars, we offer transport to your destination in Germany or abroad, but also offer you the opportunity to purchase transport or customs boards, technical inspections, inspections / warranties of used cars. The offer of currently sold cars can be found on MOBILE.DE, where we have been operating as a proven trader since 2003. Auto trade is not the only area we currently deal with. We are constantly expanding the scope of services with new departments, such as assistance in tuning, renovation and restoration of youngtimers, oldtimers and motorcycles. In our collection we have several Mercedes from the 70s and 80s, as well as other cars from the 20th century. We sell new and used cars on the local and foreign market. Check the cars we offer now. We buy cars registered on the local market and accept them in settlement for other cars sold by us. 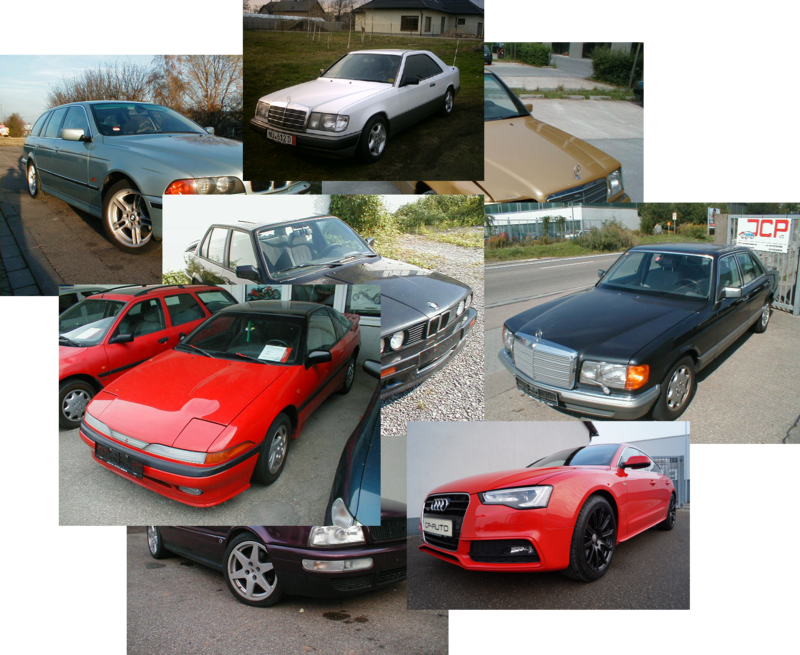 We buy, renovate and sell oldtimers, youngtimers, special cars and motorcycles. We design websites and deal with Internet marketing, as well as design traditional advertising.